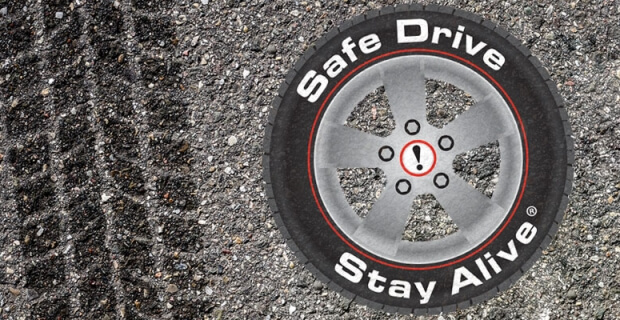 On 4 November 2014, the award winning ‘Safe Drive Stay Alive’ returned to Dorking Halls for a tenth year, having already educated over 92,000 Surrey teenagers. Safe Drive, Stay Alive (SDSA), an initiative led by Surrey Fire and Rescue Service with support from Surrey’s other emergency services, delivers hard-hitting messages to young drivers about the consequences of driving dangerously. Based around a series of films, the show features poignant testimonies from serving members of the Police, Ambulance Service, Fire Service and NHS, who talk about dealing with road traffic collisions and how they affect them both professionally and personally. For the audience, the reality check doesn’t stop there. Giving the show maximum impact, volunteer members of the public take to the stage with personal stories about how their lives have been affected by a fatal collision. Stories come from mothers who have lost their children, a sister who has lost her brother and from young people who are dealing with the aftermath of their own road traffic collisions. Real stories of life, tragic loss, and regret leave the air heavy with raw emotion and impress upon young drivers that their future is in their hands. For the first time this year, attendees will be asked to make a public commitment to drive safely. The Twitter campaign (#sdsasurreypledge) aims to prolong the impact of SDSA and put responsibility in the hands of the young people. “From 2004 to 2013, the annual number of road deaths in Surrey has fallen from 56 to 12, with killed or seriously injured (KSI) falling from 510 to 356. (SCC, 2013). Safe Drive Stay Alive has contributed to these successes and the wider effort to reduce the number of road traffic collisions in Surrey. Safe Drive Stay Alive is collaboration between Surrey’s emergency services –Surrey Fire and Rescue Service, Surrey Police & Sussex Police, South East Coast Ambulance, Frimley Park Hospital and Drive IQ.